Some great news about our river and coast. 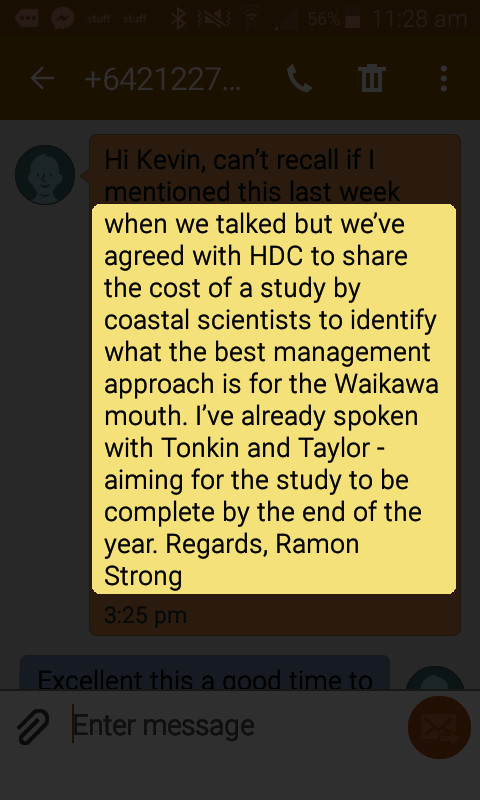 The WBRA has been advised by Ramon Strong, Horizons Regional Council, that they and Horowhenua District Council will carry out a scientific coastal study to identify the best management approach for the mouth of the Waikawa river. They have engaged Tonkin and Taylor and aim to complete the study by the end of the year . Coastal study for late 2018. We look forward to hearing what the experts have to say.